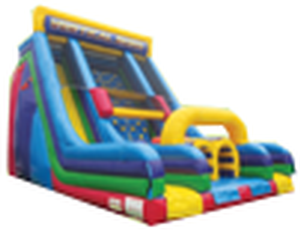 This 22' Vertical Rush Rock Climb Slide Obstacle Course is an obstacle course race where the participants race to the top on a rock climb and slide to the finish. Not challenging enough? Add on the X-Factor to the front to make the dreaded Juggernaut. 68 feet in length guaranteed to be a challenge.